Northern Quest Resort & Casino, located in Spokane, Washington, offers luxurious accommodations, Vegas-style gambling, a spa, and over one dozen restaurants, bars, and lounges. One of the most popular spots in the resort is EPIC Sports Bar, a comfortable sports bar featuring upscale pub fare. Open daily at 7 am, EPIC’s guests can enjoy viewing sporting events at any time of day – breakfast, lunch, or dinner. Like all sports bars, EPIC’s crowds and varying event types make high quality displays a must for patrons. However, constructing and maintaining a large screen was a challenge. The bar originally relied on an old TV screen, which was then upgraded to a movie screen and two sizable projectors that would play content. However it was difficult, if not impossible to clean the screen and when the HVAC system was in use, the screen would shake. Further, the projectors proved to be quite noisy and replacement costs were astronomical. With these issues in place, Northern Quest Resort & Casino decided to seek out a digital signage option for EPIC that would best showcase sporting events and entertainment, while meeting the resort’s high aesthetic standards. In summer 2017, the resort began conducting research, turning to its longstanding installation partner, YESCO, for help with the project. YESCO next sought to find a display and mount that would best meet EPIC’s needs. Based on past experience and a strong partnership, YESCO selected Samsung for its IFH LED displays. 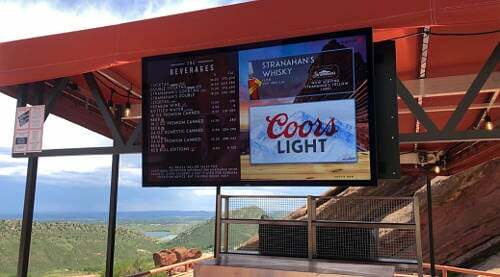 With trusted recommendations, along with video wall expertise, quality hardware, and a comfortable price point, YESCO chose Peerless-AV as the mount manufacturer for the project. An additional benefit of working with Peerless-AV was SEAMLESS by Peerless-AV ® , the company’s LED video wall integration program that provided start-to-finish support throughout the project. Peerless-AV’s dedicated SEAMLESS LED Solutions Team sets the bar for high quality design, incorporating a dynamic group of structural and mechanical engineers, product managers, project managers, installers, and sales and service personnel, which were all available to YESCO and Northern Quest Resort & Casino. AURORA, Ill. – July 17, 2018 – Peerless-AV®, an award-winning designer and manufacturer of the highest quality audio and video solutions and accessories, today announced the availability of its Large Venue Projector Mount (PJR250). An extension to Peerless-AV’s projector mount product line, the PJR250 is designed to provide a quick, safe, and simple installation – making it the ideal solution in rental and staging settings where products in venues may frequently change. The PJR250 features a low profile, pre-assembled design with a Hook-and-Hang™ system and unique dedicated adaptor plates that support all major large venue projector brands. For a quick and easy installation, the PJR250 includes a simple Hook-and-Hang™ feature, which provides a large landing area when securing a projector to the mount. In addition, the dedicated adaptor plates place the center of gravity in the middle of the mount, simplifying adjustments and achieving the perfect balance when ceiling or flush mounting a projector. A unique feature in the market, these adaptor plates significantly reduce installation time by eliminating the need to install legs, which can be difficult to stabilize and can lead to projector sag over time. To obtain perfect image alignment, the PJR250 features horizontal adjustment up to 3″ as well as tilt (+15/-5°), roll (±5°), and swivel (360°) adjustment, which are lockable to prevent even the smallest shift to the image once installation is complete. The PJR250 includes a safety cable for assurance when handling and installing large projectors, as well as integrated cable management, allowing the cables to be routed through the projector mount for a clean aesthetic. Peerless-AV’s Large Venue Projector Mounts are available now through Peerless-AV direct sales representatives and authorized distribution networks. For more information, please visit www.peerless-av.com/en-us/professional/products/PJR250. AURORA, Ill. – June 28, 2018 – Peerless-AV®, an award-winning designer and manufacturer of the highest quality audio and video solutions and accessories, is excited to announce its newest online solution for integrators, the LED Video Wall Configurator. With this solution, users are being given a tool that streamlines the design of LED video walls, where they can obtain specifications, quotes, and support with the simple click of a button. With a modular design developed to fit the specifications of any LED display, Peerless-AV’s LED mounting systems offer unlimited video wall configurations. The systems provide height and depth adjustments to overcome any installation irregularities, ensuring pixel alignment and a flat plane. In addition, a lightweight aluminum design and predetermined adaptor rail locations speed and ease installation while minimizing errors. Peerless-AV’s mounting systems also include tight tolerances and wall plate spacers, assuring all cabinets are properly positioned.The new systems are part of SEAMLESS by Peerless-AV, a one-of-a-kind all-inclusive or bespoke program for LED video wall integration. With SEAMLESS by Peerless-AV, integrators can expect start to finish support for all of Peerless-AV’s LED mounting solutions. Peerless-AV’s Large Venue Projector Mount (PJR250) is designed to be installed and removed quickly, making it the ideal solution for the rental and staging market. It is built to safely support large ceiling structure venue projectors and provides tilt, roll, lateral, and swivel adjustments to obtain perfect image alignment. The mount is also equipped with dedicated adaptor plates to perfectly balance the projector’s center of gravity, making it more sturdy and safe, and preventing the likelihood of projector sag over time. Part of Peerless-AV’s range of indoor and outdoor kiosks showcase is the All-in-One Kiosk Powered by BrightSign® (KIPICT555). This award-winning kiosk features a well-built, sleek design with an integrated 55″ commercial LCD display that offers six points of IR touch. The All-in-One Kiosk features full HD 1080p60 video decoding, HTML support, networked content playback, and more. For outdoor use, Peerless-AV’s showcase will also feature the new Smart City Kiosk. An all-weather rated solution, this kiosk includes an Xtreme™ High Bright Outdoor Display with full HD1080p resolution, easy display access, and a seamless installation. With the ability to withstand up to 150 mph winds, the Smart City Kiosk is ideal for any outdoor setting. Making its debut at InfoComm 2018, the ADA-compliant Motorized Collaboration Cart (SR598ML3) integrates the use of actuators, making it easy for users to raise and lower touch-enabled displays up to 25.6″ with the touch of a button. It is also UL962 listed and features a safety limit function, which automatically reverses direction when a collision is detected in an upward, downward or lateral force. The Motorized Collaboration Cart touts a six outlet, 2160 joule-rated surge suppressor and a 15-foot pre-installed cord in the rear of the cart, as well as a large enclosure with plenty of space for small PCs, additional cables, and keyboards, and an opening for an external Wi-Fi antenna. Its base includes bumpers to prevent damage, though it is designed to fit easily through doorways. Further, the cart features 4″ casters for rigidity and stability, as well as a pre-assembled design with no wiring required – providing the fastest cart assembly on the market. To see Peerless-AV’s full showcase of outdoor displays, kiosks, mounts, carts, and more, visit InfoComm Booth #C2947. Peerless-AV’s webinar occurring March 29 at 10:30 am CT.
Join Peerless-AV’s Craig Recchia as he presents the Certified Installer Silver Level Training Course at this link. This webinar includes training on the benefits of digital signage and the various applications it can be used. The training also focusses on the different types of kiosks along with menu boards and video wall carts and stands. Below are included Peerless-AV’s April webinars. Peerless-AV will continue to update its blog and newsroom at www.peerless-av.com with key updates on the brand’s 2018 initiatives. Kiosk example. Click for full size – Austin image courtesy Olea Kiosk, Inc. The Kiosk Manufacturer Association for Self-Service leads efforts to optimize self-service engagements & outcomes with retail technology such as self-serve order kiosks. PR Newswire link. EASTLAKE, Colo., Feb. 20, 2018 /PRNewswire/ — The Kiosk Industry Association announces its Board of Directors for 2018. 17 companies serve in this capacity and help lead efforts to promote best practices, regulatory compliance in areas such as ADA and EMV in the self-order markets. United States Access Board working relationship for ADA and Section 508 established with visit to Washington, D.C. Establishment of ADA Committee and ADA Working Committee. Members include ATMIA, ETA and NCR from the financial and electronic transaction world. Clarifying EMV requirements and liabilities for small business. Working with top research firms such as Frost and Sullivan to help formulate accurate market research for the self-service market. Global credentials enhanced with new Advisory Board member Pyramid who is major deployer of QSR fast order kiosks in Europe and expanding to the U.S.
Alliance media partners in UK and in China established. Expanded coverage for Smart Cities, McDonalds type fast casual QSR and digital signage supplemental markets. Helped create pure self-order financing model and sources for franchisees so that they can capitalize on new technologies incorporating facial recognition and artificial intelligence. Established a Speakers Bureau to provide speakers for trade shows and seminars composed of industry veterans, deployers and providers both. Coinstar, Redbox, SoloHealth example given. Examples of units – These are Pyramid units. The Kiosk Industry Group is a news and marketing association for self-service and kiosk manufacturers. It is for the benefit of kiosk manufacturers, developers, resources and client companies who are involved in self-service transaction machines (SSTM). 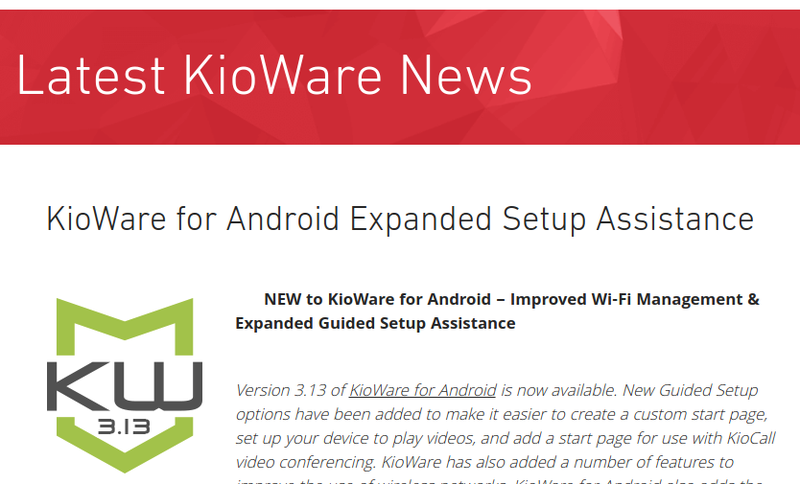 News about the industry and by the industry is published on our website when it is relevant to companies that deploy or may deploy self-service or to companies that support those deployers with hardware, software or applications. The Kiosk Industry Group has been active since 1995. Our audience this year on the website is 50,000 (human). Visit https://kioskindustry.org for more information. AURORA, Ill. – January 23, 2018 – Peerless-AV®, the award-winning designer and manufacturer of the highest quality audio and video solutions and accessories, is excited to introduce its newest kiosk, the Ultra-Slim Portrait Kiosk (KIPC35 Models) . Featuring a sleek and stylish pre-assembled design with lean frames and a small footprint, Peerless-AV’s Ultra-Slim Portrait Kiosk serves as a digital signage solution for any indoor application, including corporate, education, transportation, retail, and more. Peerless-AV can integrate an Ultra-Slim Portrait Kiosk with a wide array of components such as a flat panel display, media player, touch technology, camera, and software from various digital signage partners, including NEC Display Solutions, Samsung, Sharp, Panasonic, Philips MMD, LG, AOpen, and more. Peerless-AV’s new Ultra-Slim Portrait Kiosks are available now through Peerless-AV direct sales representatives and authorized distribution networks. For additional information about Peerless-AV, please visit http://www.peerless-av.com, http://www.facebook.com/PeerlessAV, and http://twitter.com/PeerlessAV. For over 75 years, passion and innovation continue to drive Peerless-AV forward. 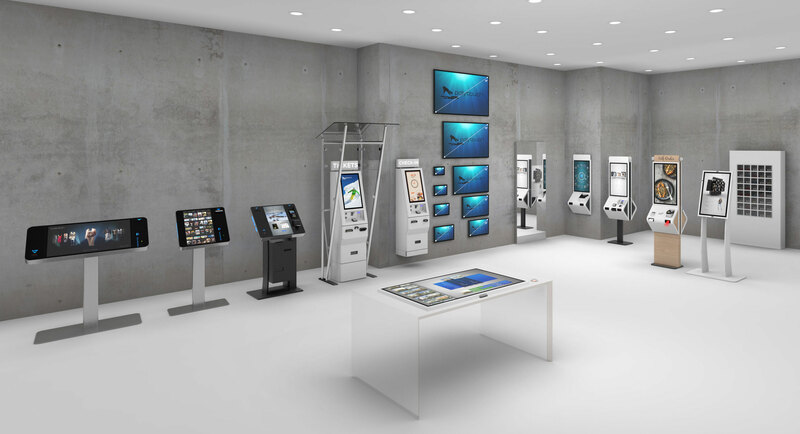 We proudly design and manufacture the highest quality products, ranging from outdoor displays to complete kiosk solutions, digital signage mounts to wireless systems. Whether a full-scale global deployment or custom project, Peerless-AV develops meaningful relationships and delivers world-class service. In partnership with Peerless-AV, you are trusting an award-winning team of experts who will support your business every step of the way. For more information, visit http://www.peerless-av.com. The Digi TransPort family of programmable 3G/4G cellular routers provide flexible, enterprise level cellular connectivity and uptime for hundreds of thousands of ATMs, lottery terminals, payment kiosks, vending machines, and digital signs in 95 countries around the world.